“Our profession, as an entirety is not fitted for women,” an anonymous male architect proclaimed in an August 1900 Indianapolis article. 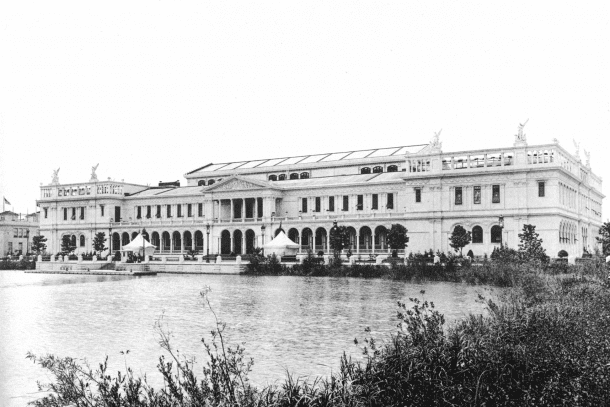 Women were so uncommon to this line of work that the interviewed architect claimed to know of only one female architect– who “planned the woman’s building at the World’s Fair.” Her name was Sophia Hayden Bennett, an 1890 graduate of M. I. T. Indeed, she designed the Women’s Building at the 1893 Columbian Exhibition in Chicago, won through competition with 12 other female architects. Not surprisingly, she was paid 1/10 of what her male counterparts were paid for similar work. It was the only building she designed that was ever realized. It appears that Sophia was the sixth woman to graduate from an architecture program in the United States after Mary Louisa Page, Margaret Hicks, Marian Sara Parker, Anne Graham Rockfellow, and Mary Wardwell. Misses Hayden and Rockfellow both also graduated from M. I. T; Margaret Hicks and Mary Wardwell graduated from Cornell; Miss Parker from Michigan and Miss Page from University of Illinois, Champaign-Urbana. 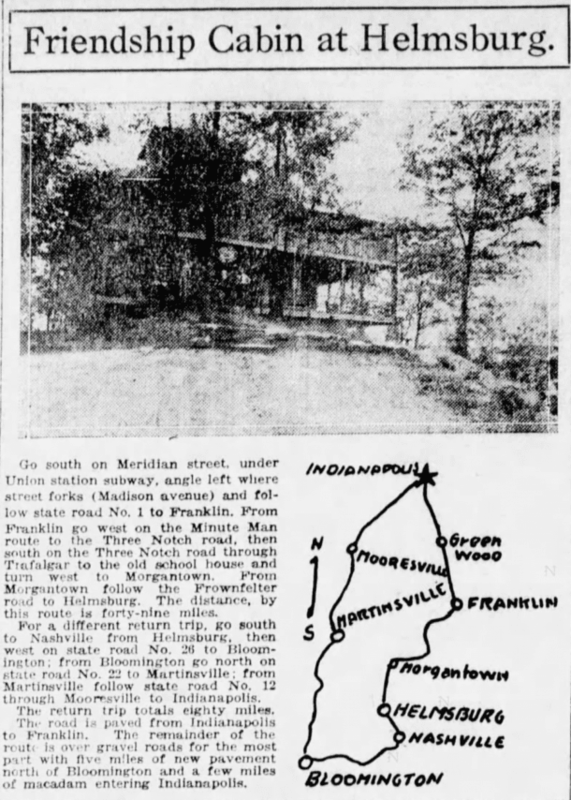 The August 1900 article concluded by noting that two young women in Indianapolis were pursuing a study of architecture, intending to continue into the profession: Miss Fanny Ayres, working under local architect, H. V. Place for several years, making plans and specifications for smaller buildings. (Being a woman, who wants to bet she was only trusted to work on smaller buildings?) Also, a Miss Richardson was studying under architect, David Gibson, and brother of Louis H. Gibson, also an architect, for the second year. A cursory search yielded no further mention of either of these young ladies. 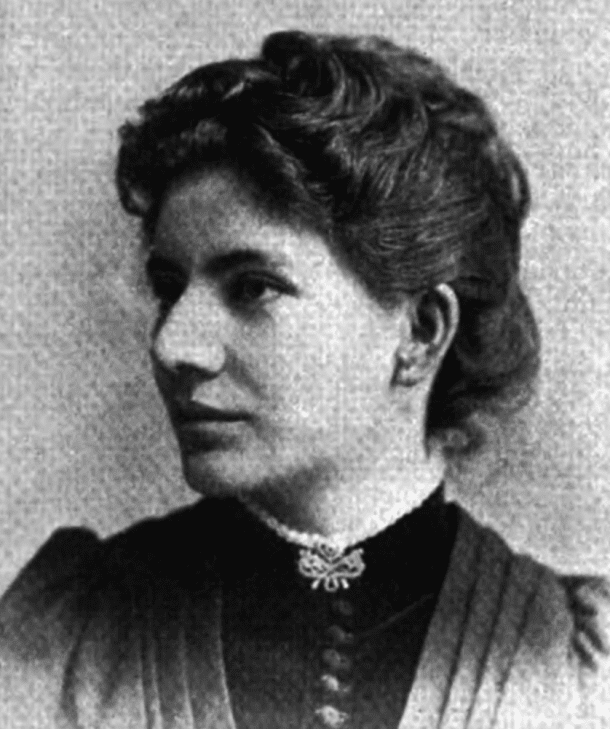 In June 1903, an Indianapolis Journal headline touted “First Woman Architect,” when Jessie Gibson, Louis Gibson’s daughter, graduated from the architectural department of M. I. T.–the only woman in her class of twenty, and with the highest grades. She joined her father’s architecture firm for a brief time. In February 1904, a show of Miss Gibson’s architectural and artistic work was exhibited at Lieber’s Gallery. There is little other mention of her architectural pursuits to be found. She married another architect in 1906, and appears to have ceased her pursuits in the field. In the absence of other information coming to light, it is highly likely that Jessie Gibson was Indianapolis’ first practicing female architect with a degree in architecture. 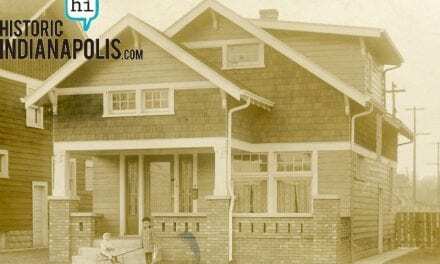 So, who was the first licensed female architect in Indianapolis? That is not as straightforward as you might think. Are we talking about the first female licensed as an architect? Or the first woman licensed by the state of Indiana as an architect? The answers are different. 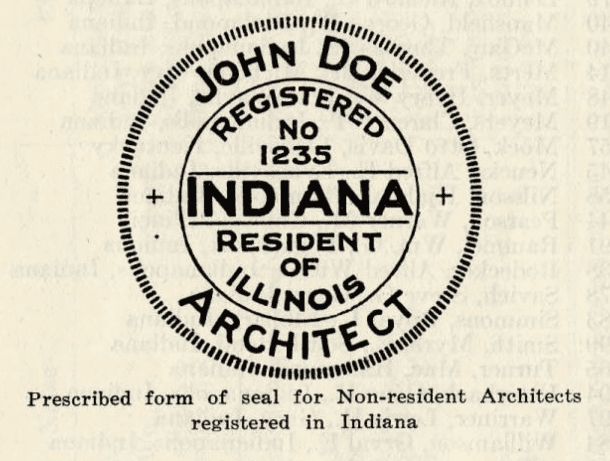 The Indiana Architectural Act passed on March 9, 1929. 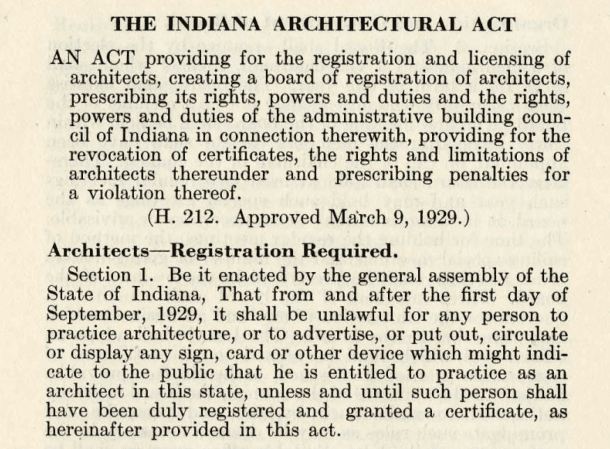 After September 1, 1929, it would be illegal to practice architecture in the state without being “duly registered and granted a certificate.” Hard to believe it took so long to pass such a common sense requirement to be law. Prior to that, there were no such quality controls in Indiana. Would you let someone untested perform your heart surgery? No. And how would you feel about enduring an earthquake in a building designed by someone not professionally trained and tested? Same difference: safety is on the line. And after 1929 in Indiana, you were more safe in its buildings. Examples of what the licensing seal looked like in 1929. 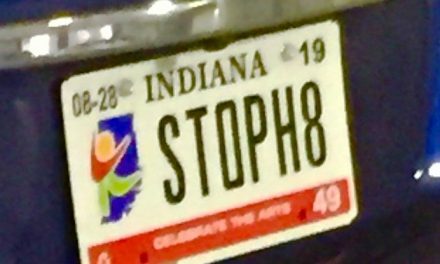 One for residents of Indiana and one for residents of Illinois. Legislation regulating the field of architecture in the United States began 32 years before Indiana got on board. Illinois lead the way, first to implement such a law in 1897 and the first exam was held in 1898. Ten years later, a female 1906 graduate of University of Illinois, Champaign-Urbana, passed that licensing test. 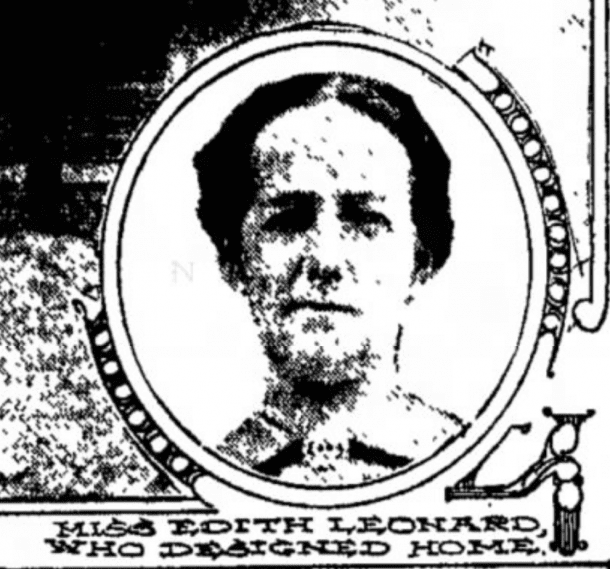 Her name was Edith Leonard, and she lived and worked in Indianapolis from 1911-1921. Unto Charles M. and Anna E. (Miller) Leonard, Edith Leonard was born on February 10, 1883. Edith’s mother, was born in the Catskills, New York, but her family relocated to Tonica, Illinois in her youth. Edith’s father Charles was born in Randolph, Massachusetts and he also made his way westward. The Leonards lived in Davenport, Iowa when Edith was born, her father working as a manager in the mechanical and engineering department for one of the railroad companies. It was during his tenure as superintendent of the John S. Davis Sons’ works that he was suddenly incapacitated by pain after his usual morning facility rounds on April 10, 1894. Within hours, he was dead, depriving Edith of her father at age eleven. The family did not own their home, and it could not have been easy for young Edith and her widowed mother to make it with the loss of the head of household. How did this painful background color how Edith saw the world? We may never know what gave her the strength and vision to pursue the male-dominated field of architecture, but pursue it, she did. 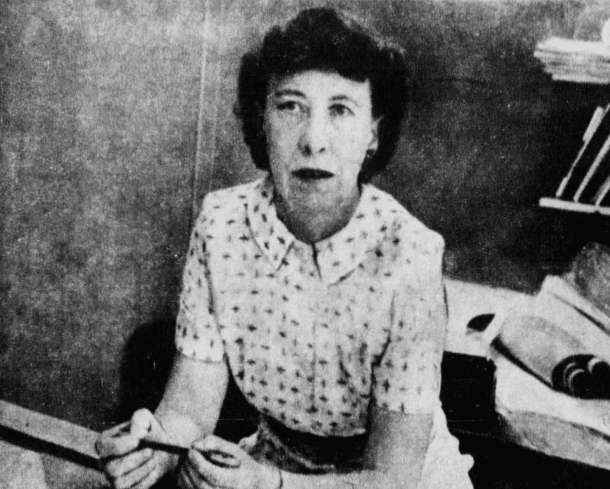 Edith was the fifth woman to graduate from the school of architecture at University of Illinois, Champaign-Urbana. She worked on campus as a librarian while in pursuit of her degree, continuing there after her studies, until 1910. In 1911, she made a bold move. She took her skills, degree, and architectural license to the state next door–Edith was in Indianapolis “engaged in architectural work,” reported an alumni newsletter. 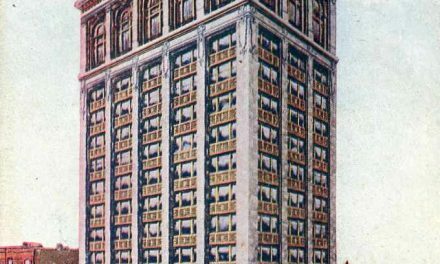 Her name finally appeared in the Indianapolis city directory in 1913, where she is listed as a draftsman at Brubaker & Stern, and living in Unit 31 at 1116 N. Capitol at The Lexington. She became a member of the local (white) Y. W. C. A., and it may well have been her involvement there that lead to the first solo commission for the city’s only licensed female architect. 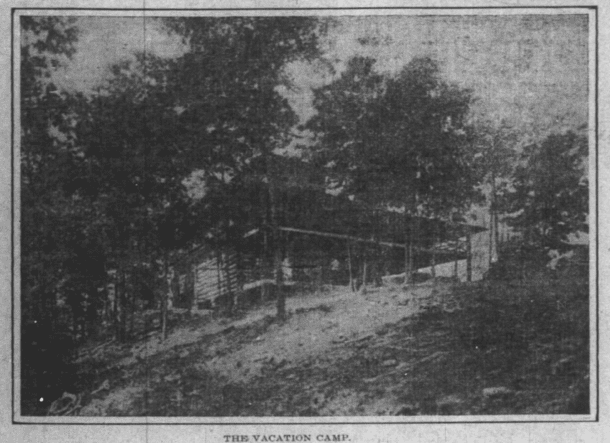 The Indianapolis Y. W. C. A. noted that all the other Y’s of large cities also maintained a vacation getaway in addition to boarding homes and other activities. 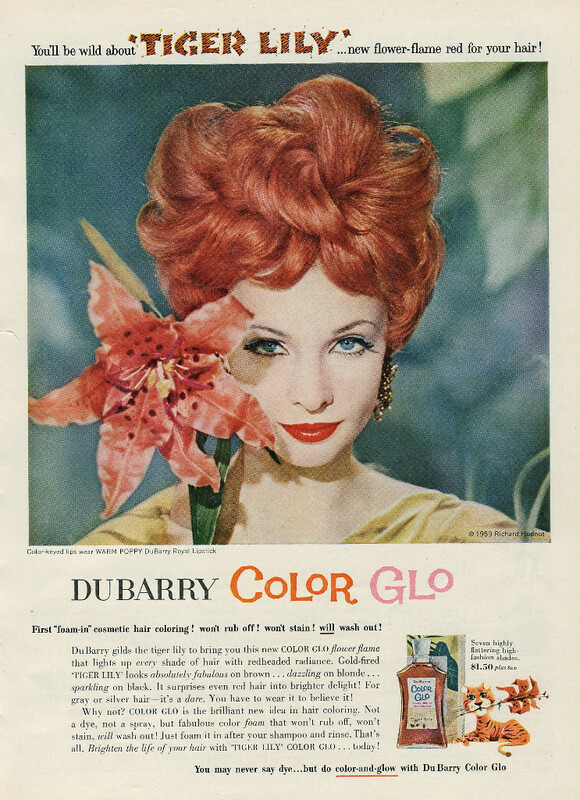 The same was desired for Indianapolis ladies. The organization hired Edith Leonard to design an idyllic summer retreat. What she created was in Brown County and nicknamed the “bungalow,” or sometimes, “cottage.” It was constructed on the highest point of the ridge just south of Helmsburg, and by one account, financed by Y. W. C. A. board member, Mrs. George Snowden. The building was pieced together with logs taken from the hills; limbs of trees were used on the porches. The lower floor had a living room 40 feet long with a great fireplace at one end, and a rustic stairway to upper floors at the other, filled with hickory furniture in-between. The dining room was designed to seat 35 guests, and the porch wrapped around three sides. Upstairs, the six-bedrooms on the second floor each had two closets and could accommodate up to 4 cots each. 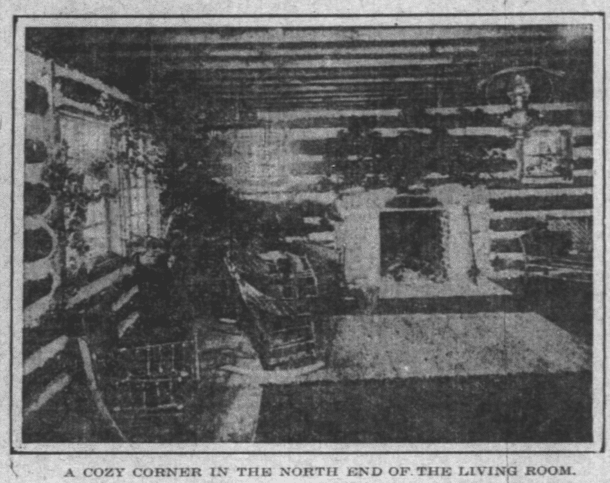 A sleeping porch wrapped around three sides of the building, atop the first-story porch. The third floor lookout could also convert into an additional sleeping room and on the fourth level was an observatory, where you could reportedly see for 30-40 miles around. Edith’s bungalow went through numerous lives and incarnations in the intervening years. The structure narrowly escaped its demise in a 1000 acre fire in Brown County in 1940. Though it survived that one, in July 1966, the place burned to the ground. Her heart would have likely been broken, so better this happened after Miss Leonard’s death. Do you know the way to Friendship Cabin? Perhaps it was the commission for the work for the Y. W. C. A. that gave Edith the gumption to strike out on her own. At least, that appears to be the case. In the 1914 city directory, her occupation is correctly listed as “architect,” and the only address listed is her home address. In 1915, she is still listed as an architect, but in the firm of Fermor S. Cannon, at the Traction Terminal Building. 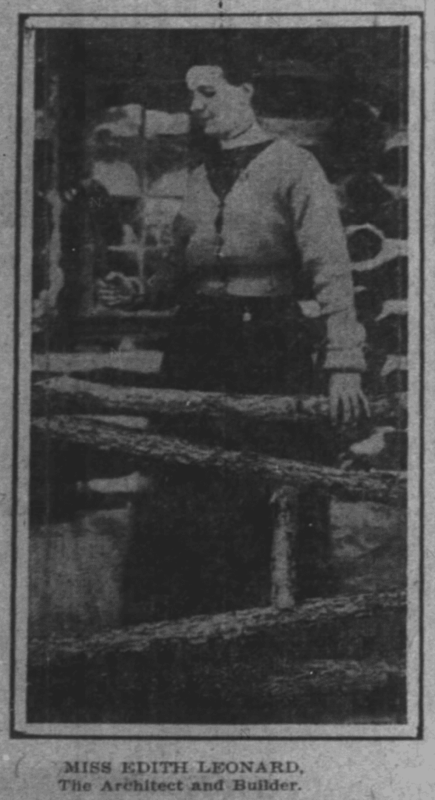 While she continued with Cannon’s firm through part of 1918, her title was downgraded as of 1916 to “draftsman.” Never again was her occupation listed as architect. Why? Even if her key role was drafting, I’m insulted for her that she would be robbed of the title for which she trained, earned a degree and a license. She moved over to the firm of Herbert Foltz at the Lemcke Annex between 1918-1919, and that of Rubush and Hunter in 1920 and 1921 in the American Central Life Building. We’ll never know why she worked for so many different firms, but it is plausible that it was difficult to work for men with the same or less education as her, and not be accorded the same respect her experience would have dictated were she a man. Clearly, Indianapolis was still not ready to warmly welcome women into the field of architecture, or most any field, really. If women wanted in, they would have to work far harder than their male counterparts to get anywhere. On June 26, 1920, the semi-annual meeting of the Indiana Society of Architects was held at the Lincoln Hotel and the group found time to make it to Garfield Park for a fun panoramic photo, in the collection of the Indiana Historical Society. This image is telling. Among the 42 individuals in the photo, there are three women seated center. As a ratio representative of the time, this is an impressive female percentage. However, none of them appear to have been allowed to sign their name, as the men in the photo did. Who are these ladies? I believe #33 to be Edith Leonard–comparing the grainy images above– and am still working on tracking down a definitive answer. I’ll update here if and when I find more to verify that suspicion. It was only another year or two after that photo that she retired her t-square and headed out of dodge. She moved to Brown County in 1922, where she stayed for the rest of her life. She briefly ran a tea room and later worked for the welfare department. She was a member of the Helmsburg Order of the Eastern Star, showing her continued devotion to the area where her “bungalow” stood. She died in a nursing home in Edinburgh, where she had been a few months, on October 19, 1957, age 74. Edith Leonard is buried in Brown County. 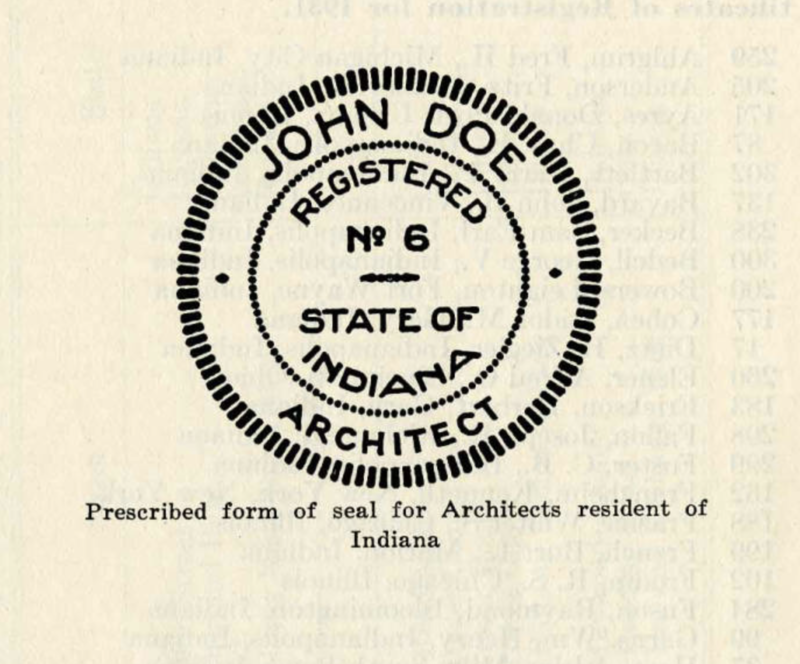 Still, who was the first female architect in Indianapolis licensed by Indiana? Rose Mary Best graduated from the University of Michigan with a B. S. in Architecture in 1935. After working in a few other states, she joined McGuire, Shook, Compton & Richey in the Fletcher Trust building in Indianapolis in 1947. There was only one other female architect working in the state at the time. That was Juliet Peddle of Terre Haute, the first woman, full stop, licensed by the state of Indiana in 1939. Even more impressive, Miss Peddle ran her own firm. Rose Mary Best worked on many projects, primarily on plans for schools, colleges, churches and hospitals. In the early 1960s, she designed the men’s dorm at Butler University. She also designed high schools around the state in Rushville, Milan, Portland,and Columbus North. Also in Columbus, she designed Jefferson Elementary School. An addition to the Dearborn County Hospital in Lawrenceburg was also in her portfolio. After working 25 years as an architect in Indianapolis, she retired in 1972 to Hope, Indiana. She died March 28, 1983 and her final resting place is the Moravian Cemetery in Hope, Indiana. Hope is a good note to end on–the industry that most shapes our physical world has moved beyond hope, to reality: female architects are in the field to stay. But there is still work to be done to reach parity of leadership in architecture. No one is asking for ladies first, but ladies there, wherever there is a table of power, influence and decisions.